War of the Daleks is an attempt to produce something unusual: Doctor Who based games have been produced before, but we wanted to try a different approach - an all Dalek participation game in a large scale. 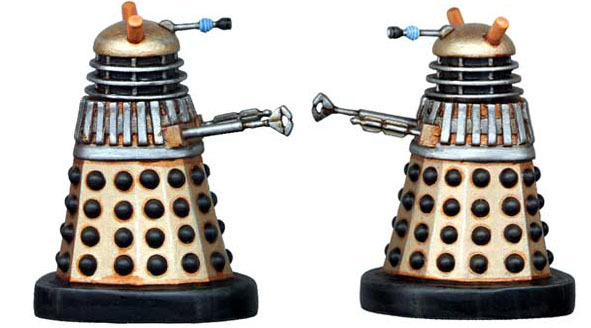 Using the range of 1/35th scale Daleks (by Media Collectables) and sections of resin corridor (from the 'Blastwall' range by Ainsty Castings) we have built a game called War of the Daleks, based around a thoroughly explored timeline.  We've made some big inroads into creating a catalogue of colour schemes for the Daleks and we have also included an introduction into the very simple rules we use at opendays. 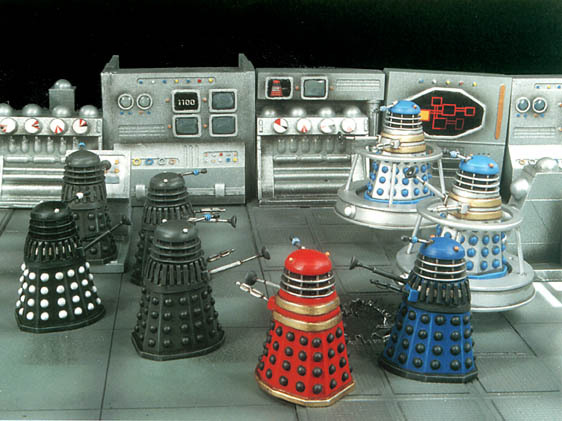 The rules are simple for a good reason: they aren't designed, after all, to take into account terrain more complex than corridors and rooms, or creatures much more varied than Daleks (though other enemies of the Daleks turn up!). LATEST RULES: Additional scenario notes about game set up, following input from users of this site! 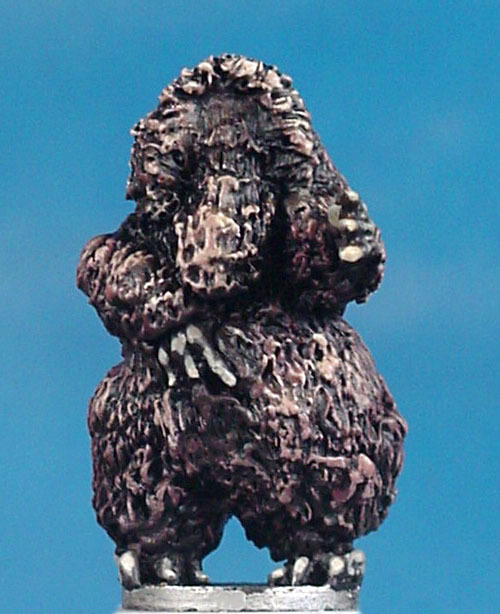 LATEST ENEMY: YETI and Sontarans). Anyway, the game is designed to be fun so: exhilarate!